When we face it and work with it, we can not only heal thru expressing our anger, but as I discovered recently, in the process, we can heal also our relationships with ourselves, others, with our jobs, life’s circumstances – whatever the anger applied to. 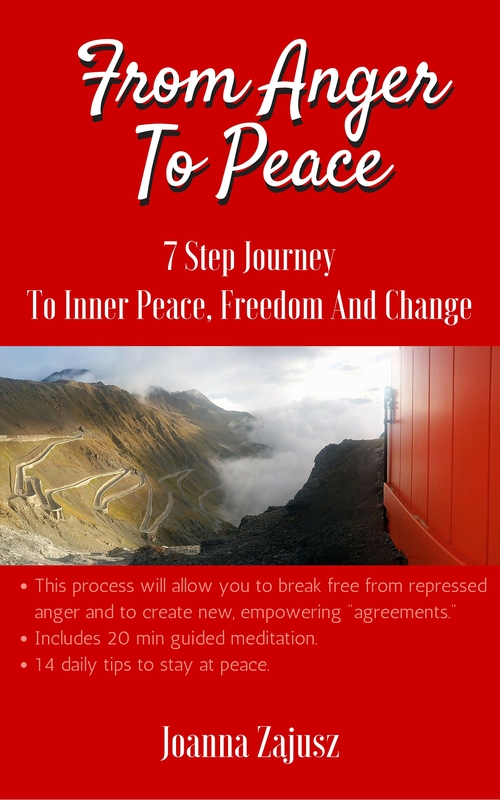 Let me show you how you can free yourself from the repressed anger. Depending on your situation it may take shorter or longer time to be neutral about the thing you are angry about, but this process is a start. A start that will help you better identify the problem, release the emotional pain, and get you tools for the future. If you are not sure if you even are open to talk about it, you may want to read the previous post first. Expectations of the process: what we are NOT going to do: we will not be attacking others – and their possessions physically, using any sharp objects. We won’t be attacking them verbally, or sending 100 angry emails. We won’t be bad-mouthing. Preparation: you will only need a pen, paper (get yourself plenty- I used 5 big pages), 2 hours of time alone. A pillow. Better yet a big, ugly, plush toy. Identify the area of your life or relationship where the anger comes up most. Dive into your memory. Write about the situation when you were hurt, violated, betrayed, ignored, cheated, disrespected, left out, judged, unappreciated…. It might have been a situation that didn’t come to closure, and now it’s too late. Step 2: Who did it. Who was involved. How did they do it. When you finish- take a moment, don’t rush to the next step… write some more bad things this person did. I’m sure you will find something. Step 3: Unleash your opinions. Now take a look at the list. You have an opinion about this person, don’t you? And it is not a nice one. Feel free to write down what you think about them. Used to say only good things about others? Thumbs up! But now forget about it for 2 minutes. Let all the ugliness out on the paper, nobody will see it and you will feel prettier. Don’t keep inside any of it…. Step 4. What did it cost you. Step 5: Release the energy. Anger’s first response is to attack. Since most likely you didn’t attack the person you hold grudges against, the energy still may be accumulated inside you. Release the energy in a physical way. Attack a pillow, punching bag. Take a boxing class. Step 6: Self care time. It’s quite likely, you are / were also angry with yourself… for allowing this to happen, for playing a role in the conflict, or that you didn’t remove yourself from the situation much earlier. Maybe there were some red flags, but you moved forward anyway. If this is true, don’t blame yourself. This is a moment when you can start forgiving yourself. Spend a lot of time on step 6. By now you probably feel a bit better. Bring your attention to the area of your heart. Create a feeling of comfort, love and compassion around it. If you do, you will get in touch with the softer side of you that can only be loved. And forgiven. No matter if you just forgive yourself or have the strength to forgive others, this is an act of self care. You do it for yourself. Your peace of mind. Your health. Take a look again at what happened then. How could this part of life, this situation be handled better. What was your responsibility? Simply: what are the lessons learned? Now is the moment when you can be proactive. So take the responsibility. Step into the more powerful version of you. Make a promise to yourself that this will never happen again to you. You have the right to change (yourself, what you attract, your energy) at any moment in your life. You have the right to use words: stop, no, well… no. Now create new terms of dealing with similar situations. Set emotional and physical boundaries. Now make new agreements with yourself. Visualize yourself living according to your new rules. Keep just the page with your new agreements. Please see a therapist if you experience any of the following: ongoing nightmares, suicidal thoughts, extreme reactions to reminders of the trauma, self harm behaviors, neglecting or abusing someone else. It comes with a bonus – 20 min free guided visualization, to use in step 7, so you can make the changes even faster.